The HL7 homepage now features an alternate state depending on your logged in status. 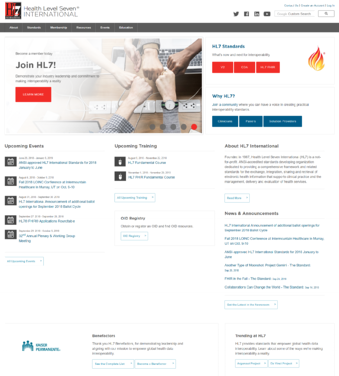 If you are logged in to HL7.org, you will see a new look and feel, but with all the content in the same place. 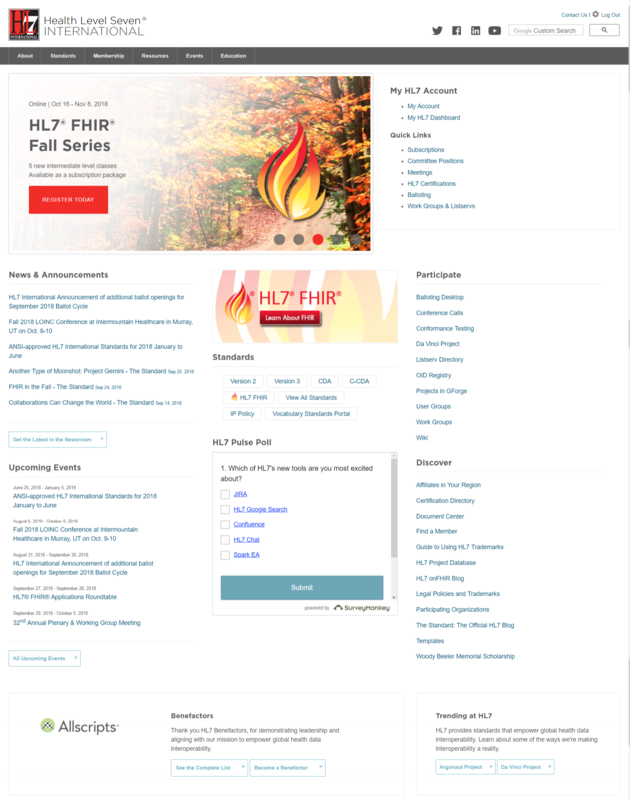 When logging out, you will view the new public homepage, which prominently highlight’s HL7’s benefits, events and standards — the items that are likely to be of most interest to the broader healthcare community. Individuals visiting the website on a mobile device will notice the biggest change to our website – they can now read and click items without zooming in! Earlier this year, we updated our event pages to be mobile friendly. This was the first step in improving the framework of the HL7 website. You can look forward to other responsive improvements across the website in the next year. The end result will focus on providing information that users need in a concise and clear format while promoting upcoming educational events. We hope you enjoy the newly enhanced website. Please feel free to contact the HL7 web team by posting to the Support Stream on chat.HL7.org with any questions.